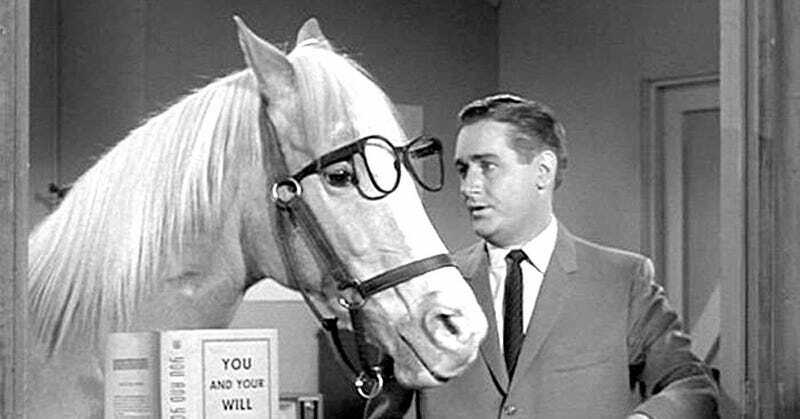 It’s not quite Mr. Ed territory, but the new study shows that horses can communicate with symbols. By using a message board with three icons, scientists have shown that horses can use symbolic language to convey their preferences. They now join an elite group of animals that exhibit communications once thought exclusive to humans. Others in the group include primates, dolphins, and pigeons. In a new study published in Applied Animal Behaviour, a research team from the Norwegian University of Life Sciences describe a new technique in which horses are taught to communicate by touching different visual symbols, which they use to inform their handler whether they want to have a blanket placed on their backs or not. It took the scientists less than two weeks to train the horses on the system, and every horse involved in the experiment—all 23 of them—had no trouble figuring it all out. Literally thousands of years of experience with horses has taught us that these creatures are incredibly smart. We know that they respond to visual and verbal cues, but it’s never been shown that they can use their communication skills to express themselves. The new study, led by Cecilie M. Mejdell and Knut E. Bøeemail, shows they most certainly can. Once the learning stage was complete, the horses (which belonged to different breeds), were tested under different weather conditions. Results showed that the horses were not making random choices, but were consciously indicating their blanket preferences. 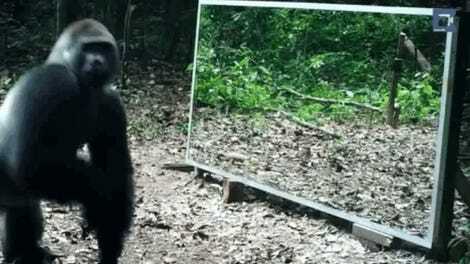 Yet another experiment showing us that animals are more intelligent than we often give them credit for.